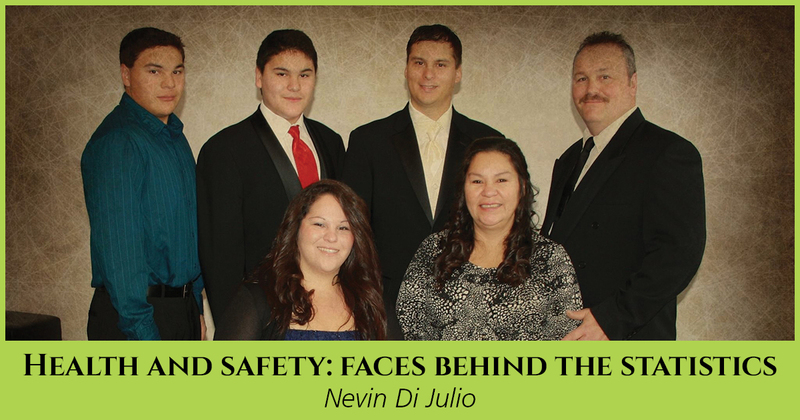 Nevin Di Julio is a go-to guy, but after a horrific workplace incident he suddenly went from caregiver to care recipient. While training as a fryer at a Nova Scotia potato processing plant, he sustained burns to 45% of his body. Married with four kids and a grandson, Nevin quickly appreciated the support that only family can provide. Today, his family includes Threads of Life. Now, as a Speakers Bureau member, Nevin has become a go-to guy for Threads of Life. Read more about Nevin’s story on page 4 of the Fall 2015 newsletter. If you or a loved one have experienced a life-altering workplace injury or other workplace tragedy, read about how Threads of Life can help you.